The Race, Education and Democracy Lecture and Book Series is an annual event held at Simmons College, organized by Professor Theresa Perry for Beacon Press Books. The lecture series, held in the spring, brings distinguished movers and shakers in the field of education, to discuss their latest book, published through Beacon Press. I first attended the series back in ’07 while an undergraduate at Simmons College. Patricia Hill Collins and Imani Perry were the speakers. The event was life changing. The Series proceeds on the assumption that public education is at the center of American public life and that discussions about critical educational issues need to occur in the public domain and engage Americans from many different backgrounds in thoughtful and complicated conversations. This year’s event brought us Dr. Freeman A. Hrabowski, discussing the themes: Standing Up For Justice/Creating Opportunity: From the Birmingham Children’s Crusade to Creating Excellence in Math, Science and Technology. Every year the event is sure to have prominent scholars, passionate educators, and Beacon Press Books for sale, specifically if not solely, books written by the speaker. However, this year’s lecture series had something extra special: PICTURE BOOKS! We have Prof. Perry to thank for that. Most of the picture books sold out. I was able to snag two. 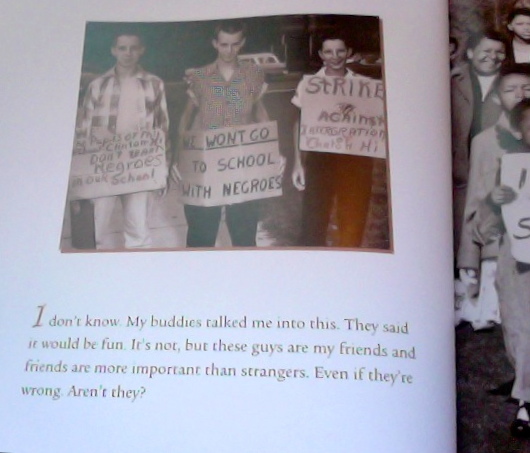 Remember: The Journey to School Integration by Toni Morrison, uses photographs and text to tell its story. 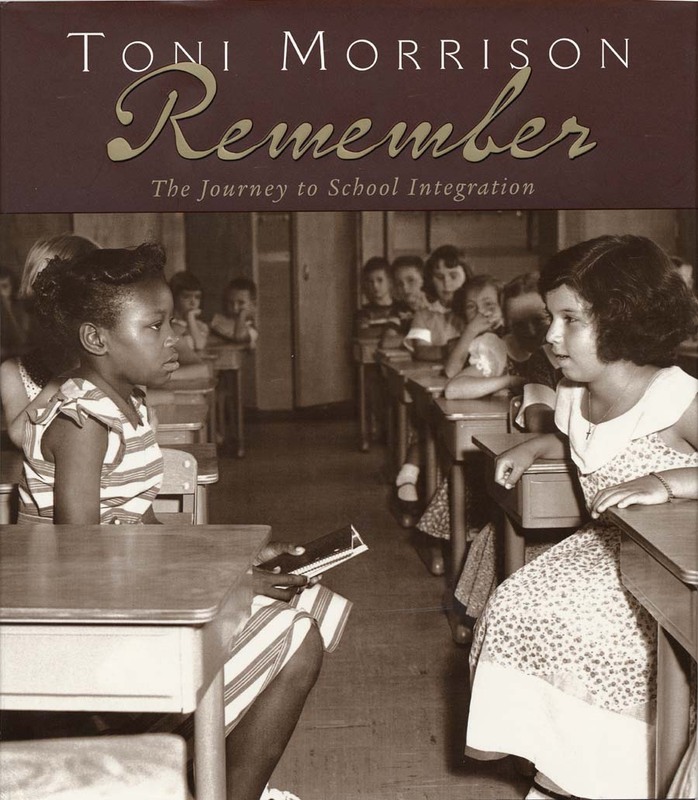 Morrison elicits mindfulness in the young reader, by writing through the voice of children and adolescents from the Civil Rights Movement of the 1960’s. So important, and time saving is this book. 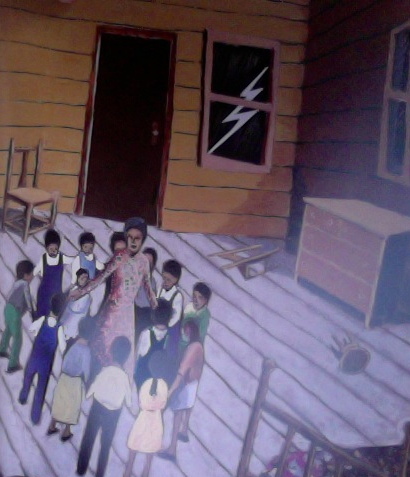 As a teacher of young children, it takes much time to craft the right words to speak to children, regarding painful truths in our history. If I am not mindful in my word choice, then my truths may oppress, rather than empower, their young spirits. I want to convey not only what happened, but also a perspective that can empower them and promote resilience. Morrison takes the guess-work out of choosing the right discourse. This book is so important. Its a nonfiction tale with a message that, ‘young people can be game changers too’. At least that’s the message that I took from the book. John Lewis began his life as an organizer at a young age. The reader follows the life of John from his elementary years through adult hood. 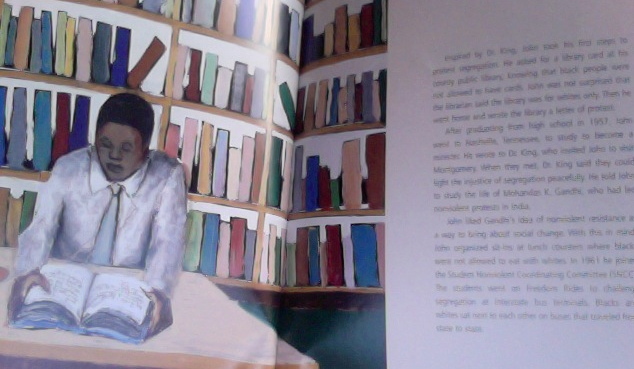 The illustrations portray the simplicity of John Lewis’ home and school. In contrast the authors’ words portray the protagonist as a child with layers of cognitive substance. This mesh of simplicity and substance provides young readers the opportunity to conclude that great ideas and great people can come from limited means. 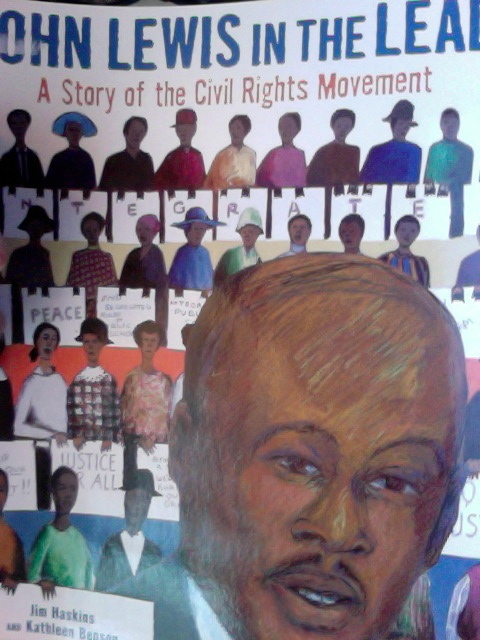 John Lewis in the Lead: A Story of the Civil Rights Movement. 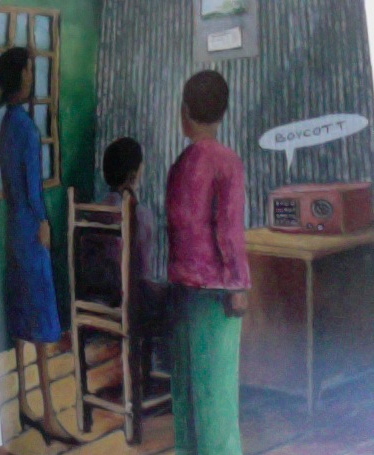 Illustration by Benny Andrews for John Lewis in the Lead: A Story of the Civil Rights Movement. 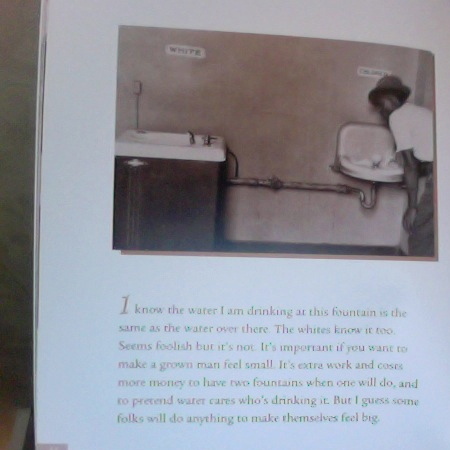 A time line, of John Lewis’ significant life events, is provided at the end of the book, along with photographs. Every elementary classroom should have this book. You can order it through Lee & Low, here. 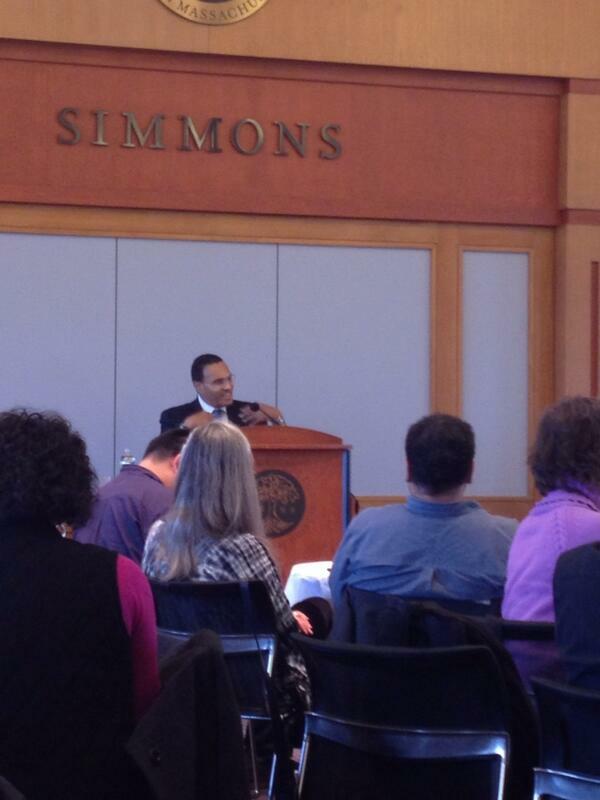 While I have your attention, I’d like to share something Dr. Hrabowski and Dean of Students at Brookline Public Schools, Dr. Adrian Mims spoke on, at the lecture: Doing math in numbers. What’s that mean you ask? It means that if you are a teacher of students from diverse backgrounds, then be mindful of how you group your students. If students of color are the minority, then don’t just deploy them evenly into the rest of the groups, by default. Just because they are the minority within a peer group of students, doesn’t mean that their ideas have to be the minority within their work groups as well. Let them think together. Thinking together provides affirmation, respect, and a sustainable voice. Thus, when making math groups for students, make sure that students can work in numbers, not just as the sole minority within the group. Dr. Mims actually wrote on the benefits of grouping students together in his dissertation, “Improving African American Achievement in Geometry Honors”. Overall this year’s lecture gave me lots to think about. Lots to live for. p.s. during the question and answer period, someone asked Dr. Hrabowski what his favorite picture book was (it wasn’t me, really!). His answer: The Velveteen Rabbit. He said that the book’s message is deep and profound.